Over 1,000 of Japan’s most precious works of physical art and architecture are officially designated as Kokuho (lit. National Treasure) and protected by the national government for their preservation. It’s a system that is celebrating its 120th anniversary this year with the help of the Kokuho Support Project and Cup Noodles. Pictured above is an actual Kaengata Doki from the Jomon Period (14,000-300 B.C.). Nissan has created the Jomon Doki Doki Cooker which went on sale November 6, 2017 at 10 a.m for ¥59,800 (US$524). This instant ramen vessel is a faithful recreation of Kaengata Doki pottery from the Middle Jomon period, dating back to roughly 3,000 BC. Among the oldest of Japan’s National Treasures, these pieces of earthenware are appreciated for the high level of prehistoric craftsmanship, having been shaped in the image of fire. They also signify the dawn of civilization in Japan when humans began to develop communities partly based on the cooking that could be done thanks to the invention of Jomon pottery. 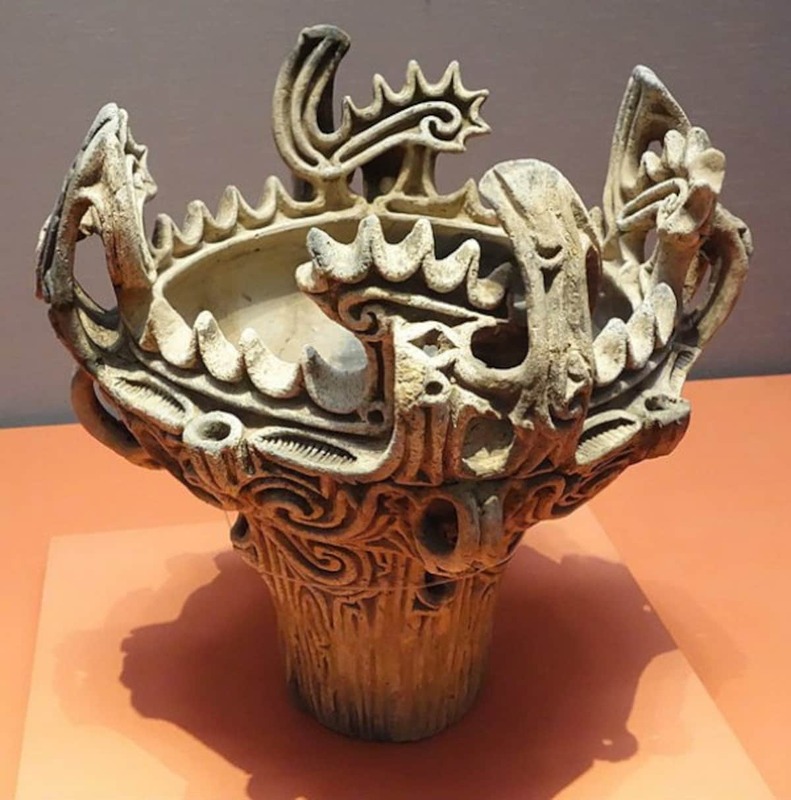 Nissin spared no expense to create their own piece of Jomon pottery working in collaboration with the experts at Waraku magazine and the kiln masters at Seto Hongyo with over 250 years of experience in the earthenware game. Simulating the ancient techniques, each Jomon Doki Doki Cooker—"doki doki" is a pun on the Japanese word for both pottery and excitement—is carefully decorated by combing with a bamboo skewer much like it was done four millennia ago. 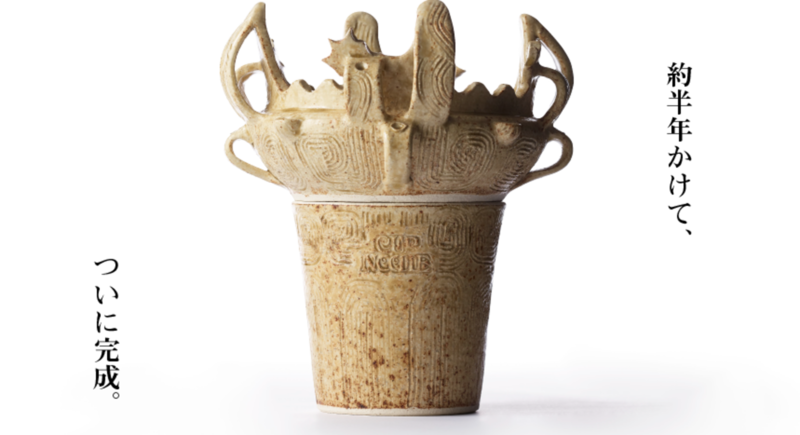 The Jomon Doki Doki Cooker works by lifting the flame-shaped lid of and placing your Cup Noodle inside. After adding the hot water, the ceramic cover can be used to hold down the cup’s foil lid for the three minutes needed to soften the contents. While you might be tempted to rush out and order one for yourself, the Jomon Doki Doki Cooker has already sold out! But not to worry, there will be one more chance by signing up for a Jomon Doki Doki workshop at the Cup Ramen Museum in Yokohama in January for a chance to make your own.